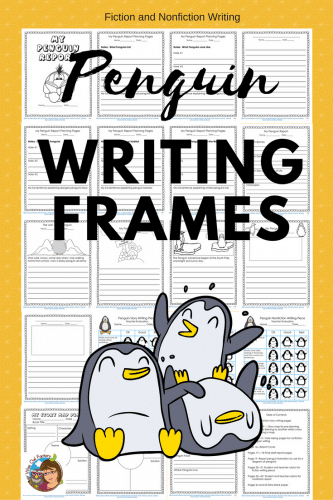 Penguin writing frames for story and research writing will help guide second-grade writers to produce research reports and creative writing. Rubrics for both fiction and nonfiction writing are included in this 25 page PDF. Please find the printable at this link. 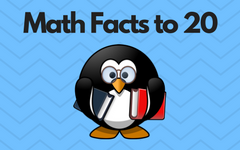 It is one of our premium eMember resources. All of the resources are included for one low fee. 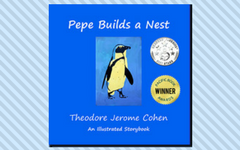 Of course children like to write stories, and it is an essential component of writing workshop. 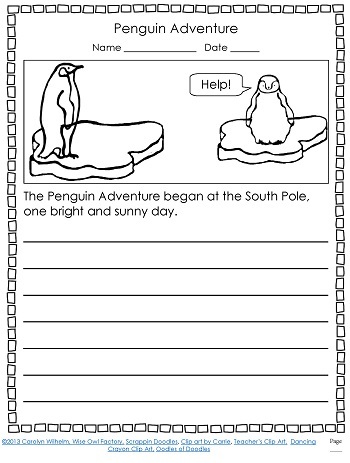 The fiction writing pages could be used for quick writes or even longer projects. Each creative writing page has a prompt that would be appropriate for shorter pieces, or for beginning longer writing pieces. 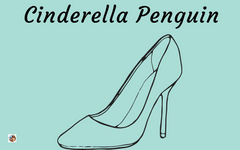 What will the poor little penguin do? He is floating away! 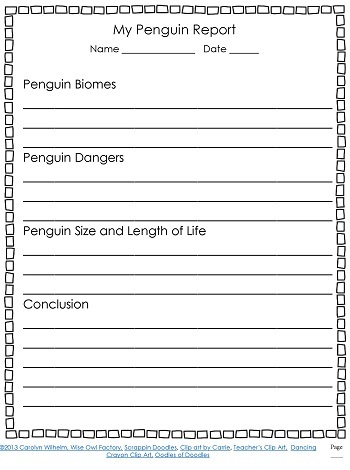 The nonfiction writing frames are based on animal research projects we taught in second grade. What does the animal eat? What does it look and sound like? Where does it live in the world? What predators hunt this animal? How big is it? By taking notes and answering questions, sentences can be formed for short final reports. 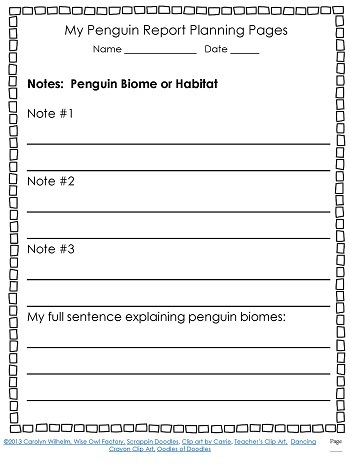 This is an example of a note-taking page. Once notes are taken, the student then writes a full sentence. 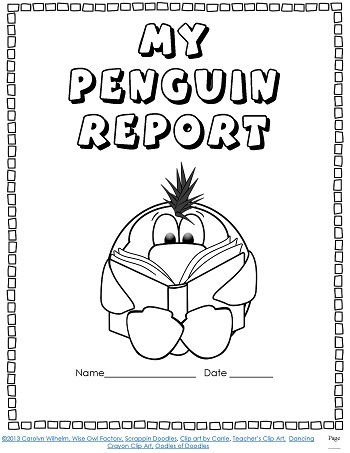 The final sentences are copied onto the final report writing frame pages. A optional cover is included, or students may create their own. 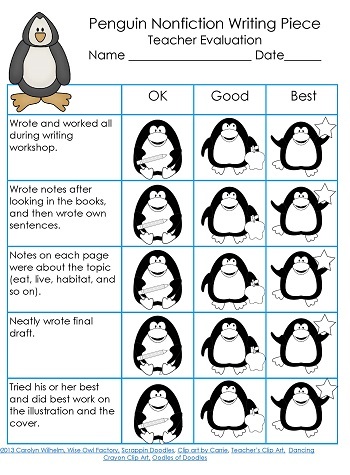 Having paper to guide both student writers and even the teacher helps provide an organized approach to class. These writing projects may also be left for substitute teachers as they are fairly self-explanatory. Both teacher and student rubrics for both creative and nonfiction writing are included in the PDF. 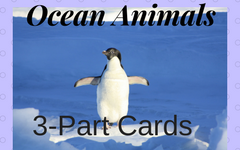 There are similar free animal research and story writing printables in our free eMember area as well. 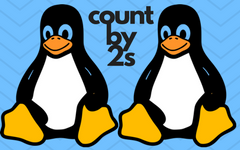 The free writing page is here, and the password is found in the newsletter. 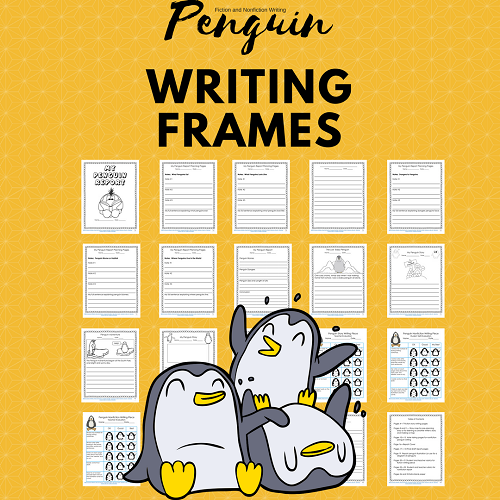 There is also a different free penguin writing printable at this blog post, which is a free instant download.